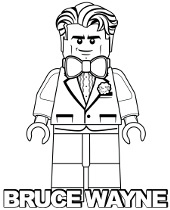 Lego coloring pages – the most popular building blocks in the world now available on Topcoloringpages.net. In this section, you will find coloring pages from series Duplo, Ninjago, Friends, Star Wars and Juniors. Among others, original logos, bricks, pieces, minifigures and even the whole sets. And after coloring, we invite you to solve our Quiz and to read a handful of curiosities about the fantastic Lego world. The Lego company was founded in Denmark or in the USA? What color is the square in the Lego logo? What is the name of a series of Lego sets designed for the youngest children? What is the name of the famous amusement parks, which mostly consists of Lego blocks? Can we find dinosaurs in some the Lego sets? Yes, for example in the Jurassic World series. The word Lego derives from the two Danish words “Leg” and “Godt” what means “play well”. The Lego company was founded in 1932 in the Danish city of Billund. Its founder was Ole Kirk Christiansen, who was a carpenter by profession and before creating the most famous plastic construction bricks for children, he used to carve wooden toys for his own kids. The Lego Group company existed since 1932 but its the most famous product – plastic construction toys – appeared in 1949. Lego blocks bought today will match those from 1958! This is due to the introduction of a patent called the “universal system”, thanks to which each block is compatible with all others, regardless of the year of its production. Lego is the world’s largest producer of rubber tires which are used for their toys. In fact, Lego produces more tires than Bridgestone, Goodyear and all other major companies in the tire industry. According to mathematical calculations, it is possible to combine six of the eight-studded Lego bricks in 915 103 765 different ways. The very first minifigure was created in 1978, but it did not have face, hair or other special features. Since then far more than four billion have been made what makes them the world’s largest population (if they were humans, of course). And soon there will be more minifigs than all people living on earth. NBA Basketball minifigures, released in 2003, were the first to be based on real people. They contained, for example, Kobe Bryant minifigure. In 2009, a man living in Surrey, Great Britain built the world’s first full-size house, using over 3 million original Lego bricks. The house was equipped with a fully working toilet, shower and a full-size bed… which, however, apparently was not very comfortable. The biggest commercial Lego set is the Taj Mahal. It was released in 2008 and consist of 5 922 pieces. Check the coolest bricks and minifigs! Coloring pages with Lego bricks pieces, minifigs and sets are an excellent choice for both, boys and girls. And here you will easily find unique Lego coloring pages ready to be instantly printed in supremely high quality. You can choose from the Duplo, Juniors, Ninjago, Nexo Knights, Star Wars, Jurassic World and other pictures. And the next good news for you is that this collection will be successively enriched with new cool illustrations. Among the available colorings, you will also find the original Lego logo. Also, do not forget to check our short quiz and read fascinating facts about the Lego world.